With the winter transfer window on the cusp of being wrapped up, clubs are hurrying with their business. However, at this point, it is the launching of fresh interest from powerhouses that will define the final stretch of this window. As of now, young talents seem to be the way to go, and the subsequent transfer battles could raise the prices of even these largely unproven starlets to that of a marquee sum. 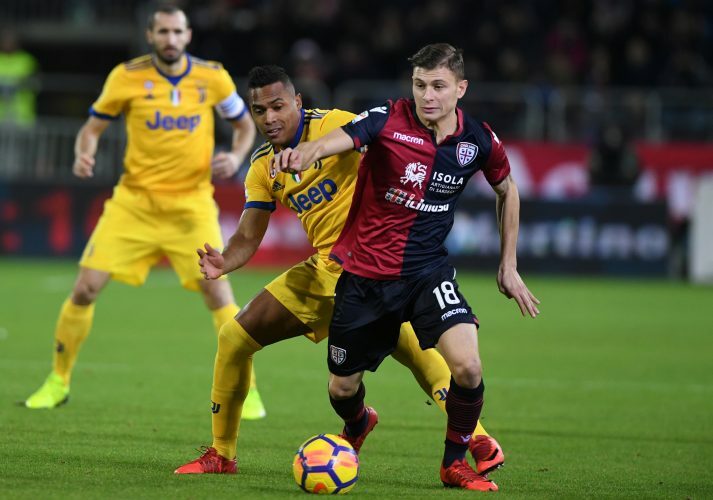 The latest to fit this bill is Italian midfielder Nicolò Barella, who has been heavily targeted by Inter Milan and Chelsea. However, Manchester United have now allegedly entered the fray as well. The 21-year-old, who functions for Cagliari, is unlikely to move to Milan given that they are bound by FFP restrictions. As of such, Chelsea seemed the most likely party to lap him up, a prospect that was strengthened by allegations that the youngster is eager on a Premier League move. However, the Italian club’s sporting director instead stressed that no move would occur in the winter, and that the summer was a more viable option for any party seeking to secure the midfielder. Now, a claim by Gazzetta Dello Sport (via Sports Witness) reports that the Serie A outfit may have a tough time saying no to Manchester United if the Mancunian giants opt to launch a bid in the region of £43 million. At the same time, such a large amount this late in the window seems uncharacteristic of United. This is especially odd since Ole Gunnar Solskjaer seems eager on making the most of the players currently occupying his roster. Besides, the arrival of an able centre-back is the more pressing need at Old Trafford, as it has been for a while now, and it is unlikely that this saga will proceed forward. Perhaps the summer may hold some hope for the youngster after all.